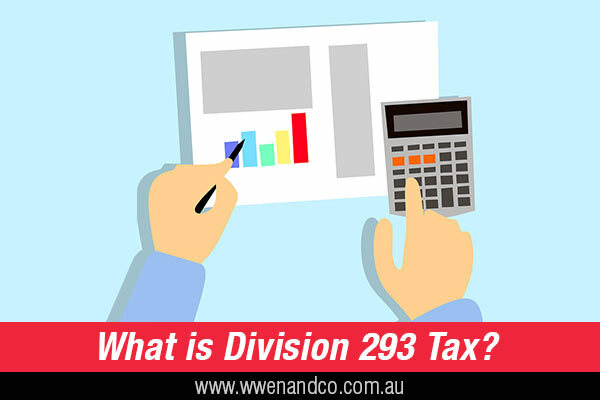 Why you need to know about Division 293 tax. Is your annual remuneration over $250,000 per annum? If your remuneration, including reportable fringe benefits and salary-sacrificed superannuation contributions, is more than $250,000 per annum, you may have an additional tax liability over and above the normal income tax payable on such earnings. Now that would be a fairly substantial salary package, so it may seem like a good problem to have, but then again no-one likes an unexpected demand from the ATO. Around five years ago the government introduced a rule called Division 293 to the tax system. Division 293 is intended to even out the effect that the concessional tax treatment of superannuation has for higher income earners compared to middle and lower income earners. If you are a high-income earner, your marginal tax rate is higher than an average income earner. “In the 2015-16 financial year Mark earns $320,000 and his employer contributes $20,000 to his superannuation fund. Mark’s fund pays tax of $3,000 on his contribution (15% × $20,000). If Mark’s employer had not contributed to super, Mark would have earned $340,000 and the additional $20,000 would have been taxed at his marginal rate of 49%. Mark would have paid $9,800 tax on the additional $20,000. The tax concession Mark would receive on his contributions is $6,800. When Division 293 was introduced in the 2013-14 year (the legislation was called “Sustaining the superannuation contribution concession”), the threshold at which it applied was set at $300,000 annual income for each individual. However, in contrast to some other income thresholds and limits, which can tend to go up, this has now reduced to $250,000 (from July 1, 2017). That’s quite a drop in the threshold, and since it applies to the current financial year it is appropriate to alert taxpayers to be circumspect as regards this aspect of taxation law. So, if you are at or near the new threshold, be aware that this division could add to your possible tax liabilities. Eligible termination payment or significant capital gain. An assessment for Division 293 tax can also come about if you receive an eligible termination payment or make a significant capital gain. How is Division 293 threshold applied? The ATO uses information from income tax returns and contributions reported by your super fund to work out if Division 293 applies and if so, how much tax you owe. And remember, as income levels can change year to year, there is potentially an annual possibility of Division 293 tax being imposed. When the ATO works out concessional contributions to super for Division 293 purposes, it does not include any amounts that are above the excess contributions cap as these are taxed at the marginal rate, so the taxpayer concerned will not be getting any concessional tax treatment. In the calculation of Division 293 tax, unlike the tax on excess contributions to super, there is no discretion for the ATO to reallocate contributions to another income year. The theory here is that if contributions could be reallocated (to avoid being taxed), they would remain concessional and would need to be included back into calculations for Division 293.